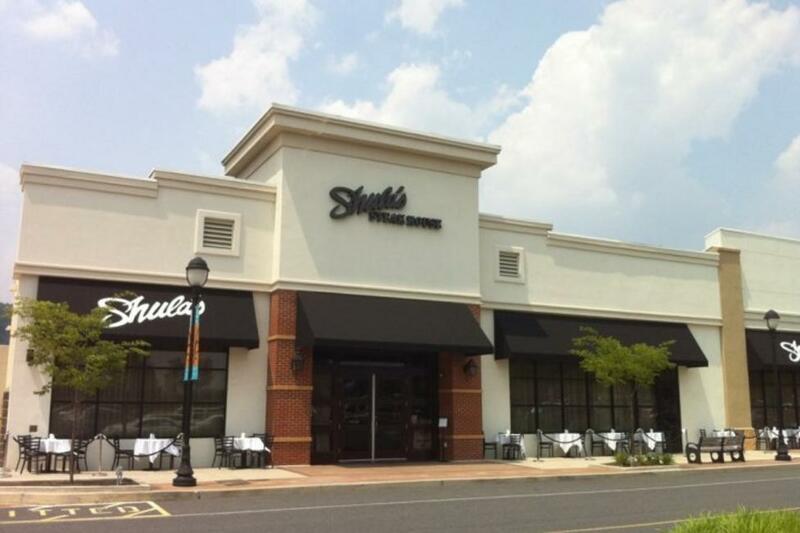 This week I had the privilege of dining with a private party at Shula’s Steak House at the Promenade Shops at Saucon Valley. This was my first experience with private dining, and it will be one that lives positively in my memory for a long time. We met for dinner in Coaches Corner, which was filled with vintage photos of the Miami Dolphins and legendary coach Don Shula. For the occasion, we had a great selection to choose from on the four-course dinner menu that began with hors d&apos;oeuvres of calamari fries and mini crab cakes that were delectable. I had never tasted calamari before, and now it’s ranked at the top of my list of favorite foods. Next we had the option to choose from lobster bisque, caesar salad, or the mozzarella and tomato chop salad. Since caesar salad is one of my favorites, and I make it a point to try it at each new restaurant I visit. I chose that as my appetizer, and it was perfect. There was just the right amount of dressing and the croutons were perfectly crisp. For the main course we could choose from grilled salmon, roasted chicken, or Shula’s cut filet mignon or New York strip steak. Since this was my first time visiting Shula’s of course I was going to try one of their signature cut steaks. I had the filet mignon, cooked medium rare. It was beautifully done and melted in my mouth. Along with the main course we enjoyed side dished that included creamed spinach, sauteed mushrooms, and au gratin potatoes. I ate every bite! The portions were generous, but perfectly measured so that if you brought your appetite with you, each course was easily enjoyed without feeling overly stuffed. For dessert I left room for the pumpkin cheesecake, and it was everything I thought it would be. Moist and rich with the perfect amount of pumpkin and cinnamon. I enjoyed the cheesecake so much in fact that I tweeted a picture of it to Shula’s local Twitter account. The evening was so lovely, myself and other members of the party made sure to share our experience on social media where we were met with friendly conversation. After the great time I had there it’s safe to say Shula’s American Steak House is one of the best places to go for a wonderful evening and gourmet food. Someday soon, I planning a return trip for a dinner date!